Naturally, it’s also open sourced and freely available on GitHub if you wanna dig into the code. 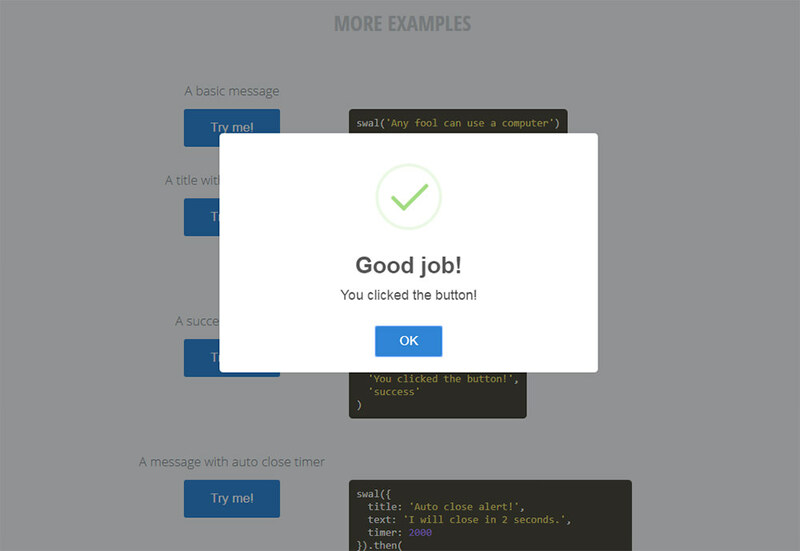 With SweetAlert, you have more control over the popup box style, the animation, the button colors, and the text styles. You can even embed images or videos into the alert box. However, the absolute best feature is that SweetAlert2 does not overtake the entire browser. 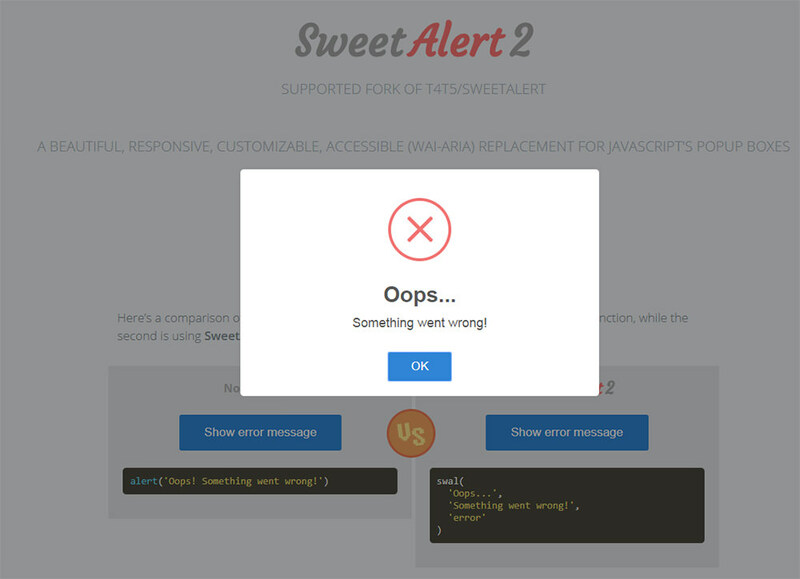 If you run a SweetAlert2 pop-up it’ll only display on that one tab, so even if the user is browsing another site they won’t be forcefully directed to your tab just because an alert popped up. This ultimately increases user engagement because people aren’t warded away due to shady UX practices. You can set auto-close timers, confirm/reject buttons, and even customize the animation using third-party libraries such as Animate.css. Check out the main website to learn more and see some live examples. You can also browse the GitHub repo if you want to see the files and check out release logs.